The file named Pakon.DLL is developed by an unknown developer. 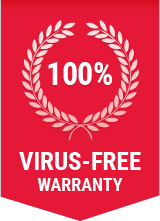 The program has not been attacked by a Trojan or malware in the past. The file is considered safe in scan reports and is not part of any virus attack. The program has not a role to play in particular software. It has a threat level of 3 due to lack of support. Pakon.DLL is located in c:\windows\system32. The total size of the file and the latest version available cannot be found. The program can be safely removed because it is a non-system process which won’t affect the Windows operating system. Removing it will affect the software but not the OS. How to check if your computer is infected with Pakon.DLL malware? If the file is located outside C:\Windows\System32, then it is likely that the system is affected with Pakon.DLL malware. How to remove Pakon.DLL malware from system using Comodo Antivirus? Step 8: Comodo Antivirus will remove Pakon.DLL malware from your computer including all other malwares!